It stands to reason that so-called ‘quality companies’, i.e. 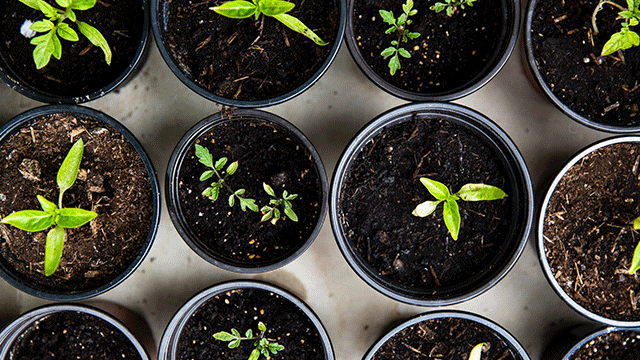 those with high return on equity (or “ROE”), tend to be able to produce good shareholder returns over time. After all, if a company can generate high profits relative to its invested equity, it is likely to be well positioned to provide attractive investor returns over a sustained period – be it either through high dividends and/or high earnings growth from the reinvestment of profits. Importantly, however, research has shown that as important as high ROE is, what is perhaps even more important as a predictor of return performance is a company’s ability to sustain that high ROE. 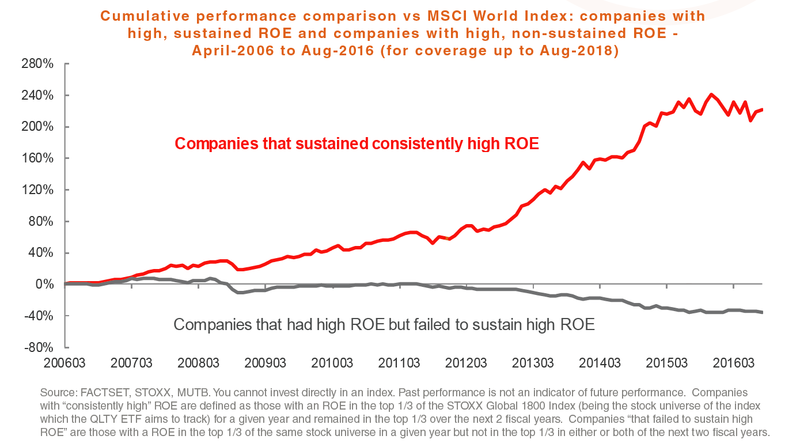 The chart below indicates that companies with sustained high ROE have historically strongly outperformed those companies that are unable to sustain this. Therefore, truly “Quality” companies are those with both high current ROEs but also those with the likelihood of sustaining this high ROE over time. Whilst the above is relatively intuitive for investors to understand, what is perhaps more interesting is how these quality stocks have performed during market drawdown events. Historical numbers show that quality stocks have held up better than the wider market in drawdown events, whilst also holding their own in bull markets – with less volatility. 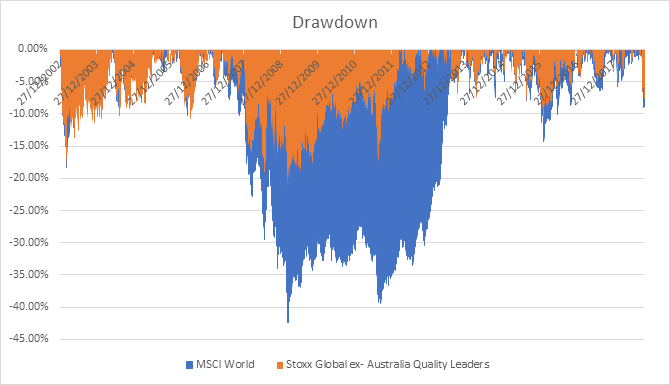 As the chart below shows, investing in quality stocks over a sustained period of time has helped to shelter investors from the full effects of wide market drawdowns such as the GFC. This is worth considering given concerns over current market valuations, and the ongoing macroeconomic uncertainty regarding the trade war between China and the U.S and lingering Brexit concerns, for example. In this point in the market cycle, it would be reasonable for investors to be looking for quality companies that may provide sustained returns, and lower volatility. Source: Bloomberg. You cannot invest directly in an index. Past performance is not an indication of future performance. Quality companies, therefore, have the potential for lower drawdowns during market falls, given their strong fundamentals. In the research we have done on Quality companies, it appears as though some of the key indicators of sustained high ROE are low leverage (i.e low debts relative to equity) and high profitability (i.e. strong cash-flow generation ability). 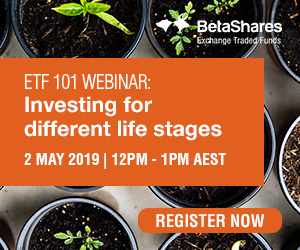 Given the benefits of this investment approach, BetaShares Global Quality Leaders ETF (ASX Code: QLTY) has been specifically designed to provide investors with exposure to a diversified portfolio of global companies (ex-Australia) that demonstrate “quality” characteristics with the potential to deliver a relatively high and sustainable return on equity over time. From a universe of 1800 stocks across global markets, the Index which QLTY aims to track identifies the top 150 that each year pass a series of quantitative screens which include return on equity, financial health, profitability and business stability measures. 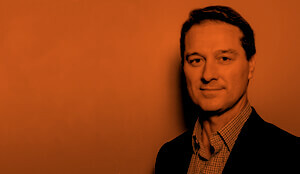 This approach leads to a portfolio of premium companies, many of whom are house-hold names. For examples, as at November 2018, some of the largest index holdings included: AIA Group, The Walt Disney Company, Intel, Johnson and Johnson and Unilever. Aversion to inversion: should we worry about the US yield curve?